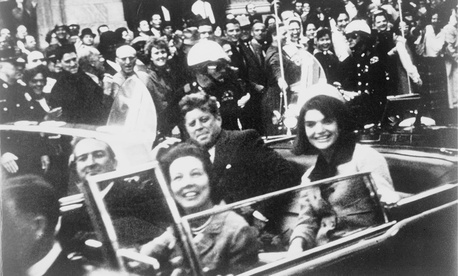 On Thursday, the United States government is scheduled to release as many as 100,000 pages of heretofore secret documents pertaining to the 1963 assassination of President John F. Kennedy. The impending release has historians of JFK, the Cold War, and other contemporaneous events pondering what new insights, if any, they’ll gain from the contents of the documents. Many members of the public are similarly focused on learning new facts. But the release should also serve as an occasion for reflection about why U.S. government officials keep so much of the information they possess from the public for so long. If so, that will be an indictment of the American approach to state secrets. That approach should already be anathema. It has recently enabled horrors including the torture of prisoners and mass warrantless surveillance of Americans. Excessive secrecy always enables abuses, prevents accountability, and subverts representative democracy as both legislators and voters are denied relevant information. Farther out, excessive secrecy robs us of the ability to study history and learn from its truths. Think how inferior our understanding of reality would be without the Pentagon Papers, the Church Committee report, or even Edward Snowden’s revelations. Now consider that if the model applied to the John F. Kennedy assassination papers persists, Americans won’t find out the whole known truth about matters like the September 11 terrorist attacks, the Iraq War, torture, and drone strikes until the 2050s. Perhaps Americans would demand to see more, sooner, if every release of classified documents, authorized or not, included an analysis not only of what was just made public, but also how much sooner it could have been made public without harming the public. I’ll be perusing whatever JFK papers are released with that in mind.